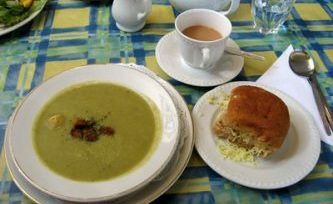 In 2009, to celebrate our 20th anniversary a recipe book was compiled with the help of our volunteer bakers and soup-makers. It is available for purchase at The Link Cafe and some of the recipes are featured here on this website for you to try out at home. We hope you enjoy trying out the recipes or better still come and enjoy them ready-made for you at The Link Cafe. This entry was posted in News on 03/03/2014 by team4.